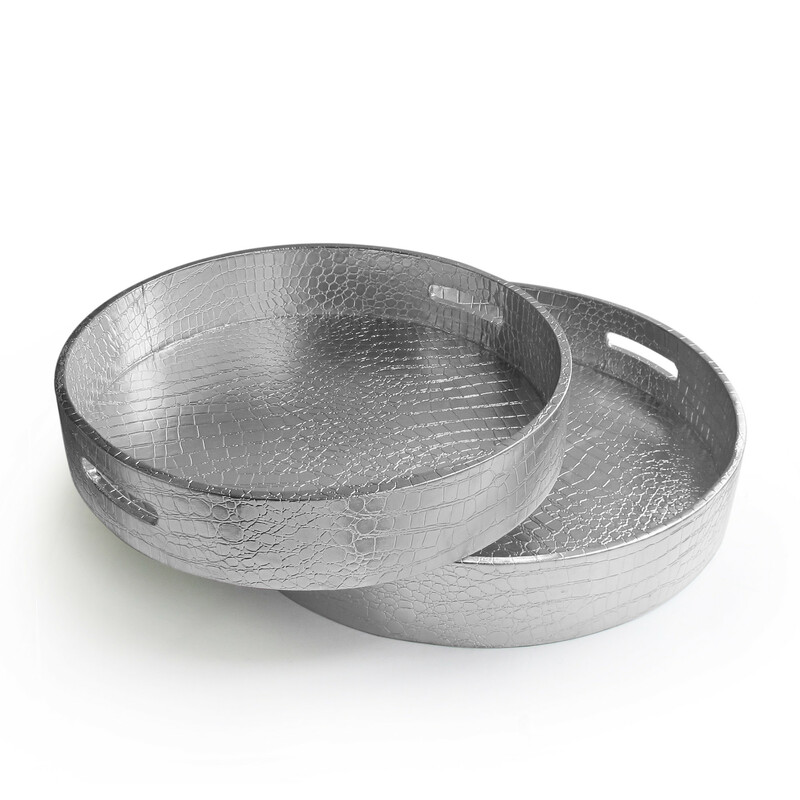 Enjoy these croc round nesting trays from American Atelier. They are made of plastic and have handles for easy serving. American Atelier Living offers a wide variety of modern and contemporary pieces to spruce up your home’s decor.